Comment: We live in Louisiana, purchasing a house contigent on inspection. We are in need of a comprehensive inspection. Comment: Want to put my house on the market but want to know what has to be fixed so I'm taken advantage of by a home improvement company. Comment: I just need a full inspection to plan repairs for next year. I know my porch is damaged and foundation sinking. I bought house from a friend 2 years ago without inspection. Comment: this is an 2002 Schult Mobile Home/// I close on it the 27th and need to know what kind of shape it is in. Comment: We bought the house about 3 years ago. It needed shingles repaired. We were told it was done. Recently we have seen shingles between our house and the neighbors and want to know if they are coming from our roof. We will need to sell in the next year or two so I'd like to get on top of any repair and have it last this time. Comment: I am currently looking for a low cost/free appraisal on my property's current up to date value. Wichita Home Inspectors are rated 4.83 out of 5 based on 89 reviews of 15 pros. 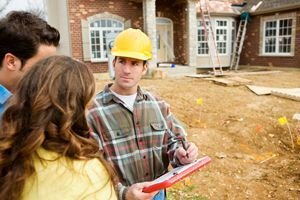 Not Looking for Home Inspection Contractors in Wichita, KS?